Very few people explore the use of snap code in their snapchat camera, but it is a great way of gaining more snapchat followers. It is as simple as scanning a snap code by pointing the camera at it. Snapcode is a unique yellow box with unique dots that surround your profile picture that appear as a ghost. To get the personal snap code, you just tap the snapchat ghost on your screen. To scan the code and display the users details, press and hold the code in your camera screen snapchat. After scanning, tap on the add friend button and the person will automatically be added to your snapchat followers. It is now upon him or her to add back if he or she feels to do so. It can be different if the person you added allows videos or snaps from anyone. It is important to save a picture that has a snap code on your profile to enable detection of others that contain a snap code on it. It is important therefore to allow the snapchat to access your photos in your device storage to determine which friends have a snap code and those not. If they have, a prompt “Add Friend” will pop up and you can go ahead. Want more Instagram Followers? Start Posting Videos? I don’t know how much you love dancing, but a 15 second video of people dancing could be all you need to increase your instagram followers drastically. Actually, if you have been keen on instagram network for a while you probably know this. Pages known for posting interesting videos have the highest number of fans and this could happen to you too should you become a little bit more creative. After all, people love dancing but they just won’t admit it. They want to watch others dance or tell jokes but since instagram only offers a fifteen seconds opportunity, you must be very creative to come up with short but interesting clips. There are a lot of other video clips you can post to attract more likes and followers, but the highest concentration lies in dance videos. Girls who love to dance have gained massive following in recent times, while comic videos have also seen people gain massive success. People who love sports could also share short but highly interesting video clips of sports related activities. The rest of us who may not be so talented can post good morning messages with their families or inspirational quotes more often. After all, what people want is an interesting video and they could soon become your biggest fans. For those that are well conversant with social media platforms such as twitter and Instagram, you will agree with me that there is nothing more fulfilling than having as many likes and followers as possible. As a matter of fact, this is usually the main goal for each and every social media user. However, as it has been the case, it has proved to be a very tricky affair for most people to get as many followers and likes as possible considering the fact that each and every person is interested in the same thing and thus a competition is created. However, did you know that there is an easier way for you to get free likes and free followers as well? Yes there is and it is quite simple. All you have to do is to purchase these likes and followers for your account. In the event that you post a tweet or a picture or update your status, you get to instantly receive free likes automatically. Amazing right? Furthermore, if youare looking for a way in which you can build your following, why don’t you purchase them from a reliable site and experience the magic that comes along. Since its introduction to the market, Instagram has been one of the most successful online social media platforms, with regards to the number of users and the ability to socialize with friends and followers. These being the case, an increasing number of marketers find the platform a lucrative means of advertising their businesses. If you are one of the many marketers on the platform, you will need more instagram likes and followers in order for your campaign to succeed. However, there comes a time when you are low in data and still would like to make use of the Instagram app. The good news is that you can now access your Instagram account when you are low in data. This option is offered by Instagram and may be accessed by navigating to the Menu option of the application. From there, you will need to tap on the cellular data usage. From the provided options, you can then select the ‘use les data option’. In order to save your data usage while accessing your instagram account. This option will not inhibit your ability to attract more instagram likes to your posts. Building a following on any social media network has always proved to be an uphill task for many people across the world. For soundcloud in particular, the case is not any different whatsoever. As a matter of fact, it will require a great deal of commitment just to see those numbers going up. Well, there are a couple of tactics that one could use in realising your goal. First and foremost, you need to keep engaging your audience quite often. This will help you to remain relevant to them and in so doing, they will develop interest in you and your music and at the end of it all, they follow you. As if that is not enough, it is imperative that you get to give your audience great and quality music that will find resonance in their hearts when they listen to it. People will always be attracted by very beautiful music and if you meet your end of the bargain, getting soundcloud followers won’t have to be a problem for you at all. Furthermore, one can purchase followers for his or her account just to give your profile a good visual appeal and the moment people notice that you are well followed, they will be intrigued and get to find out actually what make you so popular and as a result, the end up following you. First impressions last. And depending on the situation, your first impression can make people admire and embrace you, or hate you altogether. When trying to seek popularity on social platforms like Soundcloud also, the first impression you give other users can determine how successful you will be on the platform. 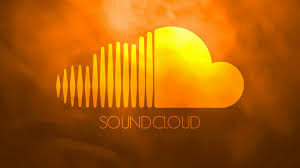 Besides first impression however, here are other factors that you must make the best of if you want to have thousands of Soundcloud followers and plays. Soundcloud is basically a platform where people go to listen to music and DJ mixes. Most of the users on this platform only tend to listen to songs with the most comments and plays. However, people could also listen to the track placed on top of your feed if they like your profile or if they get curious of what you offer. But then, how do you ensure people listen to your music in large numbers? The first trick is to complete your profile and make your bio attractive. Then post your best tracks and ensure to label them appropriately. In any case, you want to make the best impression with your tracks if they are to get played often. Although Soundcloud is a social network like any other, it requires a special approach to foster a great relationship with your soundcloud followers. 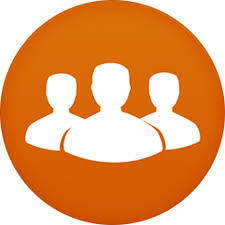 Managing the community aspect of this platform is also not easy, especially when you are a beginner. Fortunately, Soundcloud is a straightforward network as we had earlier on mentioned. If you label the genre you identify with appropriately, post quality music and interact with fellow users; you can certainly make it on soundcloud and beyond. However, you must also be able to learn what the Soundcloud hates and steer clear of it. Spamming people on the comment section for instance isn’t the best way to market your music. For many Soundcloud users, the only way to get popular is by offering value to other users. Just like with twitter and all other social platforms, offering value as a user is what makes people love you. Appreciating someone else’s music on their comment section for instance is a better way to attract them to your profile instead of spamming them. If you find something helpful you could offer to a fellow artist on the network, don’t hesitate to do it. In fact, offering positive criticism is another sure way to get the dialogue started. And even better yet, offering the criticism has a way of making people want to listen to what you offer. People overlook the reply and comment section often, but it is a very important feature in soundcloud. It is in the comment and reply section where you get the best feedback about your content. But then, how you reply to the feedback matters a lot also. As such, personalize your replies by responding based on what feedback you received, instead of making general remarks like a bot would.